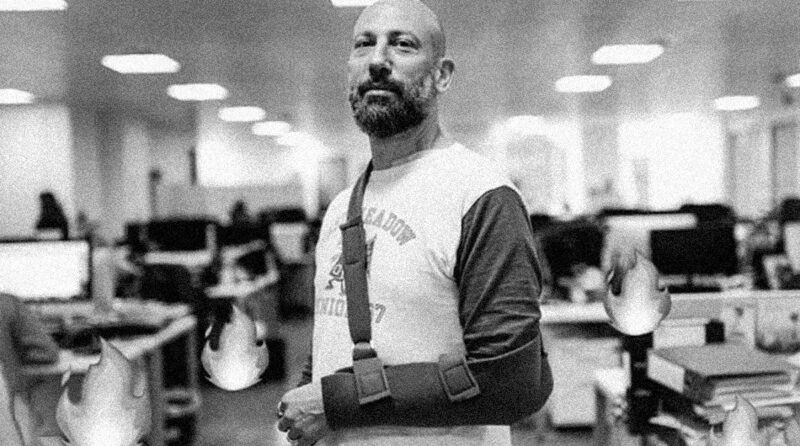 For those of you who are learning about Martin Black, River’s Senior Production Manager, for the first time, he recently had a terrible motorbike accident – and we could not wait to welcome him back. River spent a few minutes to see how his first week back went. What comes first, the mouse or the keyboard? Have there been any changes in the department on who covers your tea round, or are you managing? As River’s Style Icon, have there been any fashion alterations while you recover?